I love avocados. Their buttery richness and creamy smooth texture make just about everything taste better. I often run into a little problem with these gems, however. Because of my professed love of all things avocado, I tend to purchase them in bulk at 4-6 in a bag. While this is a great money saver in theory, my problem arises with the ripening factor. I buy a bag, eagerly await for them to soften, and then suddenly I have SIX avocados ready to go at the same time. It’s a good thing they’re so versatile, or this would really be difficult. Also, anticipate more avocado recipes in your near future. 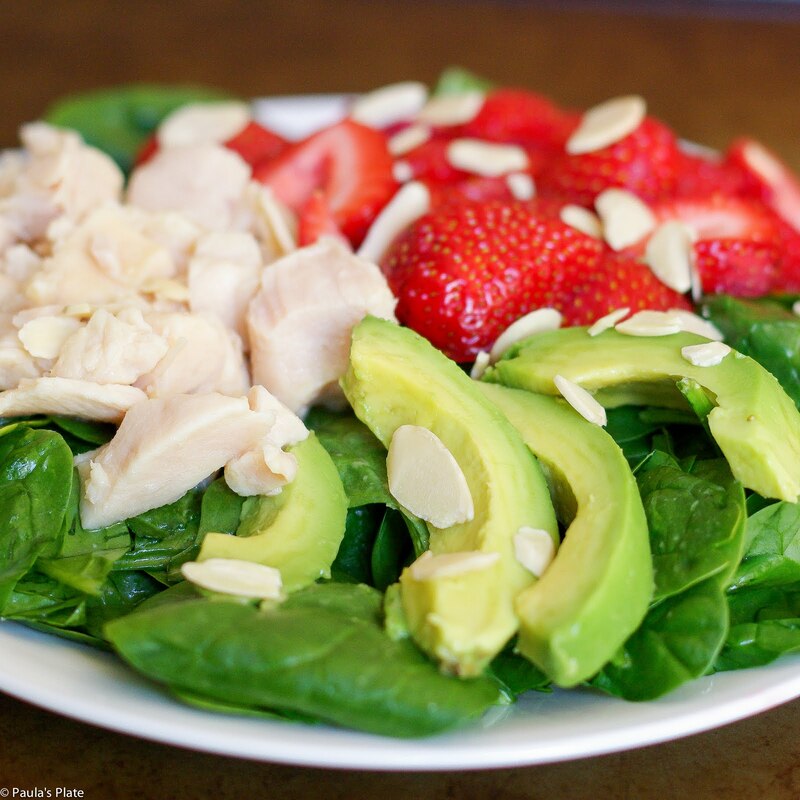 Today I am excited to share with you this elegant yet simple strawberry, avocado, and chicken salad. 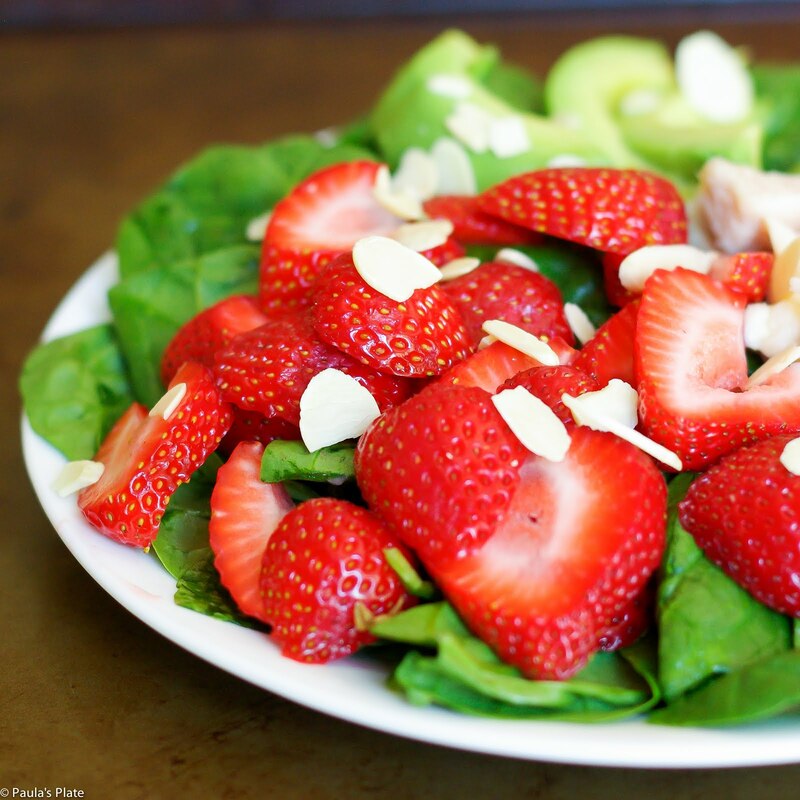 Easy to throw together, this salad is a chop and drop kind of meal. 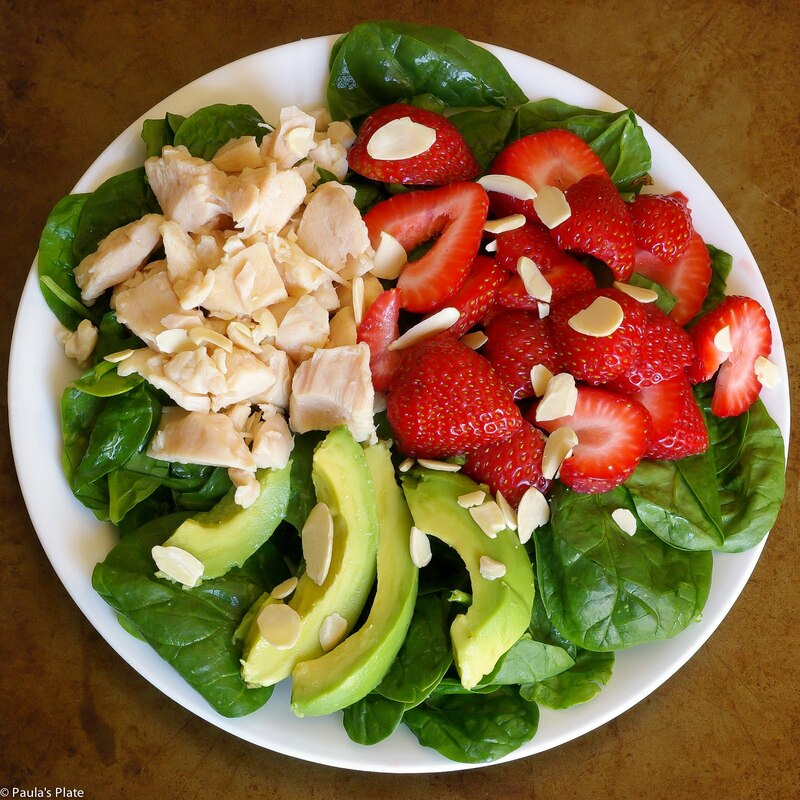 Slice up a handful of sweet strawberries, add in some ripe avocado, dice up some cooked chicken, and drizzle your favorite vinaigrette over the top. Add a sprinkling of toasted slivered almonds and you’re ready to go. The different sweet and savory flavors combined with several different textures makes this meal deliciously fun to eat. What is your favorite way to eat an avocado? Do you have any secrets for keeping them fresh? Let me know below! 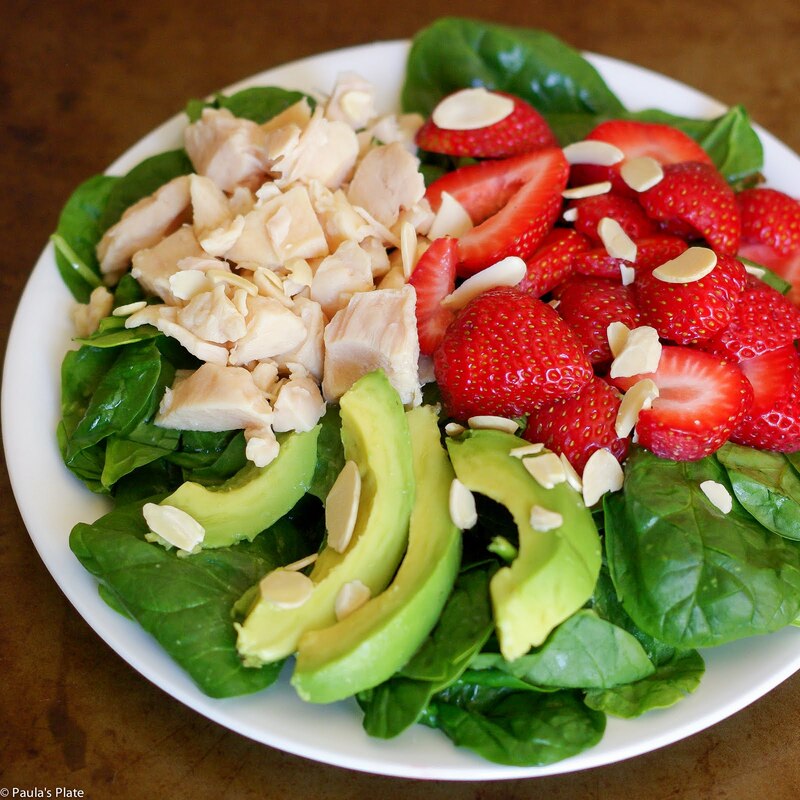 Arrange above five ingredients evenly on two plates.